RETURNING this weekend for a 26th year, Africa Oyé is set to be bigger and better than ever. 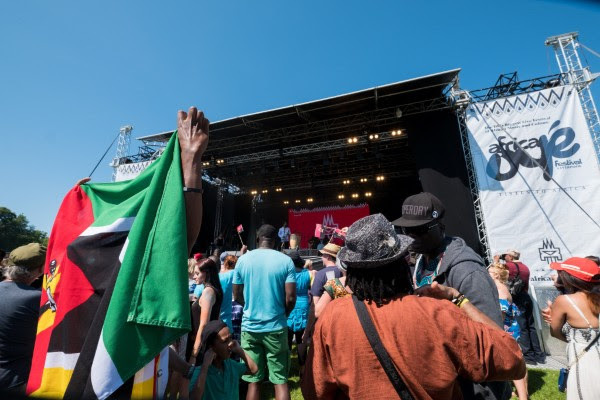 As one of the UK's largest free celebrations of African and Caribbean music and culture, Africa Oyé will return to Sefton Park from 12.30pm on June 16 and 17 for two free days of live music, DJs, dance, workshops, food stalls and traders. What better way to celebrate Father's Day this Sunday than to get the whole family down to Sefton Park to enjoy sunshine and activities. A fun and simple social dance from the north east of Brazil accompanied by Juba do Leão, a floor-shaking Brazilian band from Manchester! Main Stage Artist, Kasai Masai, will bring the moves and sounds from the Democratic Republic of Congo right to Sefton Park. As seen on Church Street, a session for everyone to groove to the beat of their own drum. The aim is to encourage creative confidence, spontaneity, and connection through rhythmical communication. A great session for all the family to learn and celebrate culture, language, and celebrations through dancing to exciting rhythms, using props and instruments from around the world. Fun Salsa class with solo and partner work. Dance to the Afro-Latin rhythms of Puerto Rico and Cuba. Get in the Caribbean groove to Soca, Dancehall and AfroBeat tunes and learn the latest and freshest moves with this wonderful dancer. Dance Battle in partnership with Afrobeats Liverpool, all 18 and unders welcome. Live DJ’s, 4 age categories and a stage. A unique blend of yoga and live African-influenced music, combining yoga practice with the means of connecting with others. A special edition version of the signature class taking you around the world to dance to the rhythms of the African diaspora with expert world dance practitioners. Play along with traditional and modern West African rhythms. Drums provided. Starting with an energising dance demo of ‘Balakiuandjan’, then followed by a workshop for all to learn traditional move to nourish your mind and body. Capoeira is a fascinating Afro-Brazilian art form combining elements of dance, martial art, music and culture. Learn vibrant Brazilian tambourine rhythms such as Côco, Samba, Funk Choro, Maracatu, Ciranda and Capoeira with this expert musician all the way from Brazil. Dancing, pandeiro and singing combine in this wonderful workshop celebrating traditions from Afro-Brazilian culture. To pledge your support to help keep Africa Oyé running text ‘DYYV03’ then your donation amount to 70070.